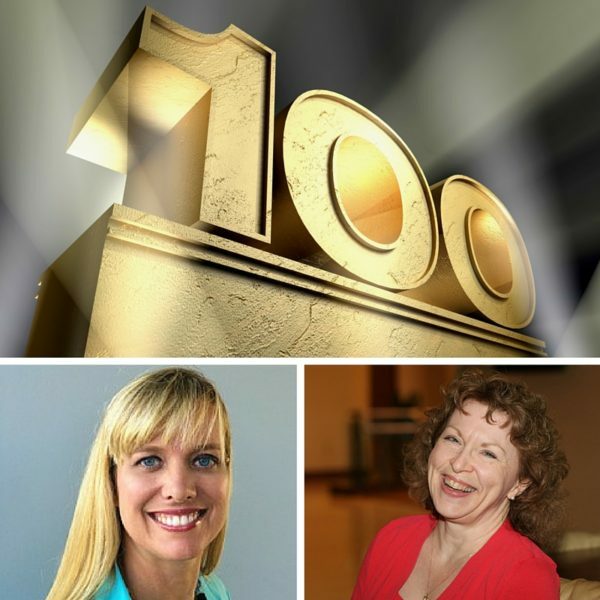 It was an honor (and a lot of fun) to celebrate the 100th episode of The Productive Woman with Natalie Eckdahl, founder of Biz Chix, a supportive online community for women entrepreneurs. But Natalie wasn't my guest. I wanted to do something special to commemorate this milestone, but couldn't think what. I talked to a number of friends and fellow podcasters, and several of them suggested I change things up a bit by having somebody interview me. Frankly, I was skeptical. I wasn't sure it's the kind of thing listeners come to The Productive Woman for. But they persuaded me, and I couldn't think of anyone I'd rather have take the interviewer's chair than my friend and coach Natalie Eckdahl from BizChix.com. I hope you have as much fun listening as I had recording this episode. Laura, oldest of 6 kids, grew up all over Washington state. Her father was a log truck driver and her family moved a lot. In one school year, she went to three different schools. As a kid, Laura was a bookworm who generally stuck close to home. Laura’s never been one to put herself out there, but no matter where she lived, she always made one or two good friends. Laura met Mike McClellan during their senior year at rival high schools, when he came in as the bass player for a Christian ensemble she sang in. They married at age 18, less than a year after graduating from high school, and worked for a couple years before moving to northern Washington to start college. Their first child was born when they were 20-year-old college freshmen. They set up alternating class schedules. Laura attended classes in the morning while Mike cared for their baby girl. Then she'd come home and he'd head off to classes in the afternoon. She did another year of college after the birth of her second child a couple years later, and then had a 10-year gap. During that time she gave birth to two more children, home-schooled the older kids, and taught childbirth classes. One day while ironing, Laura realized she would need something to do once her children grew up and went out on their own. At that time she was in her early 30s, and the home-schooling mother of four children under 13, when she decided to go back to college and finish her degree. Originally, she intended to major in education, thinking that would help with home-schooling, but when her husband asked what she really wanted to do, she confessed she had always wanted to be a lawyer. Her ever-supportive husband didn't bat an eye: “Then you should be a lawyer,” he said. So at age 33, 10 years after her sophomore year of college, she went back to school, majoring in political science. Laura was the first of her family to go to college, and one of the few in her extended family to do so. After her junior year, she started looking at law schools. With the encouragement of her faculty advisor, Dr. Kent Kirwan, and her husband, she applied to several top law schools and was offered admission and scholarships by nearly every one. In 1995, with a husband and 5 children in tow, she moved to Ithaca, New York, to start Cornell Law School at age 35. 15 years later, Laura was a partner at a law firm in Dallas. Her kids mostly grown, Laura began looking for an outlet outside the law practice, a way to perhaps help other women pursue their own dreams. Laura had followed Michael Hyatt’s blog, and began listening his podcast. She found herself thinking podcasting might be something she'd like to do. After learning about Cliff Ravenscraft (known as the Podcast Answer Man) on Michael Hyatt's podcast, Laura took the plunge. She signed up for Cliff's Podcasting A-Z course to learn how to podcast. The first assignment required her to choose the topic and the audience she wanted to speak to. After years of studying productivity, the topic was easy. And for many years her passion had been to help other women, so the target audience was a no-brainer. Cliff's course took her through the process of setting up the recording equipment all the way to recording a sample episode. The equipment part was easy for Laura. Since Mike is a musician, she just raided his gear for the equipment she needed, and he composed and recorded the show's theme music. With the help of Cliff and Mike, by the end of the 30-day course, she was ready to launch. For six months she stalled. She found many reasons (excuses) for why she wasn't ready yet: too busy with work; family events intervening; and on and on. The truth was, she was simply terrified to put the show out there, afraid people would think she wasn't qualified to teach them anything. In short, she was a victim of Impostor Syndrome (which she later talked about in Episode 63). Finally, she took a deep breath and recorded and published Episode 0, briefly sharing her vision for The Productive Woman. Once she recorded that episode and promised her (then nonexistent) audience she would be back next week, she didn’t want to disappoint, so she recorded the next episode, and then the next, and 98 more after that. It's become one of the most rewarding things she's ever done. Still practicing law full time during the days at a large international law firm, Laura spends her evenings researching and working on ideas for new episodes, which she generally records on the weekends. After podcasting for several months with little to no feedback or reviews, she was beginning to get discouraged. But she then got an email from a listener saying she appreciated the podcast, which was exactly what Laura needed. Two years later, feedback from listeners helps encourage her to keep going. 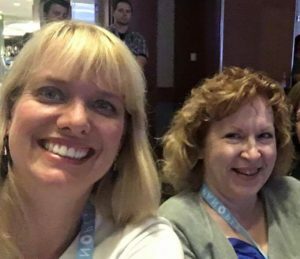 As part of her education about how to create a quality podcast, Laura listened to Daniel J. Lewis‘s podcast, The Audacity to Podcast. When she met Daniel in the hallway at Podcast Movement 2014 (a conference for podcasters), he was happy to be able to thank him in person for what she'd learned from him online. To her surprise, once he found out about her show, he asked if she would be interested in joining his network. Daniel's support and encouragement have been indispensable in Laura's podcasting journey. Laura uses Evernote to keep track of podcast ideas she has and ideas sent in by listeners. She relies on her calendar to keep track of upcoming interviews and recording and publication dates. She keeps track of the steps necessary to get each episode published, as well as her other projects, in her task managers, OmniFocus and Nozbe. Even though The Productive Woman has reached episode 100, Laura still struggles with impostor syndrome. She gets nervous when faced with a new venture, but when she feels that hesitation, she reminds herself of the times she's felt that fear in the past but pushed through it–like that first day going back to college, or the first day she walked onto the Cornell campus. She knows the hardest part is that first step, and once you get past that, it gets easier. Her mantra at those starting times is, “I'll be fine once I get started.” And she almost always is. Thank you so much to Natalie for her support and encouragement, and for helping me celebrate the 100th episode of The Productive Woman. Host of the very popular Biz Chix Podcast, Natalie Eckdahl has appeared in numerous interviews sharing her own entrepreneurial journey and details of her life, her family, and her businesses. Natalie has an MBA and is a former management consultant. She is the mom of 3 and runs two online businesses with her husband, Mark. Natalie also provides consulting services in podcasting and business startups and facilitates an exclusive group called THE NEST – A Biz Chix Accountability Group. Natalie is enjoys speaking on Entrepreneurship, Work/Life Balance, Productivity, and Outsourcing. For more information about Natalie Eckdahl, visit her website. I’m always looking for ways to connect with you more directly. I’ve created a private Facebook group for The Productive Woman listeners where we can meet up and interact on a more personal level. You can join the conversation at The Productive Woman Community on Facebook or email me to be added. Join me in one of the Fall 2016 The Productive Woman Mastermind groups. If you're stalled in accomplishing your goals, if you feel a need for support, encouragement, motivation, and accountability, the TPW Mastermind might be just what you're looking for. Space is limited, so email me today for more information about pricing and how to apply.